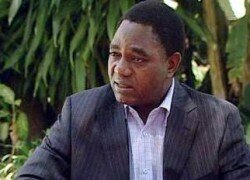 FORMER UPND vice-president Richard Kapita says his former party will be very lucky if it will not cease to exist in the North-Western province. 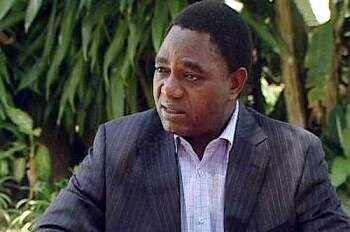 And Mr Kapita has vowed that his critics will prove him right in the next three months through massive UPND defections to PF. “People have realized that they cannot continue with UPND but support the ruling party which has demonstrated commitment to its people and that of developing the entire country,” he said. Mr Kapita said none of the former presidents and politicians had managed to get blessings from the people of North Western Province like President Lungu. “This is because President Lungu has touched the hearts of people in the province by giving them the Chingola-Solwezi road, Solwezi-Kipushi, road and township roads in all the districts which they wanted most. “People never thought this development will come so soon but they are now able to see progress being made,” he said. Mr Kapita said he took a personal decision to leave UPND which he foresaw to continue being in the opposition because PF was winning the next presidential and general elections in 2016. And President Lungu said whoever would make it difficult for UPND and MMD defectors to join the Patriotic Front (PF) would face his wrath. President Lungu was speaking at the same function in Chavuma when he received over 300 defectors from the MMD and UPND including their district executive committee members. “You are all welcome to the larger family, we need to work together so that we can develop this country. We are all One Zambia One Nation whether Luvale, Lunda or Chokwe we are one people,” he said. The president said he knew that people in Chavuma did not vote for him but he would keep working for them and give them development they needed most because they were also Zambians. President Lungu said he was overwhelmed by the defections from the UPND and MMD saying people had the right to choose political parties they should support or not. “I am grateful that you have decided to join and work with the PF. In PF we are not tribal and we work with each and every one,” he said.